Before the foundation of the world, God created you to enjoy life in the Triune fellowship of the Father, Son, and Holy Spirit.That fellowship – that Divine Dance – gives life wholeness, peace, and passion. The problem is that NONE of those places or people are THE Divine. None of those places or people can give you the abundant life God desires for you and us all to enjoy. You’ll only feel frustrated…and you’ll put that frustration on others. I watch people all the time hungry to find this quality of life. I watch people move from spouse to spouse…from partner to partner…from job to job…from church to church…from preacher to preacher…from teacher to teacher…from movement to movement. All the time they are trying to find that wholeness in life that continually seems to elude them. It seldom seems to dawn on them that what they need cannot be found in any of those places. In can only be found the Divine Dance…that fellowship you were created and redeemed to forever enjoy. God’s eternal desire has been for you to enjoy this fellowship. From “before the foundations of the world,” you were predestined for this life of joy. It’s yours right now…but you’ll miss out on the reality of its presence it if you are trying to find from some source other than God. The LIFE you yearn for is available to you by grace. You’ve been given the KINGDOM OF GOD. It is within you. There is a RIVER OF LIFE flowing from within you that can give you the life you long for and the joy you are seeking. The invitation of faith is to live from the reality of this gift that right now belongs to you because of the goodness of God’s grace. The Great Dance is astonishing vision of human life and the mystery of its intersection with the life of the Triune God. 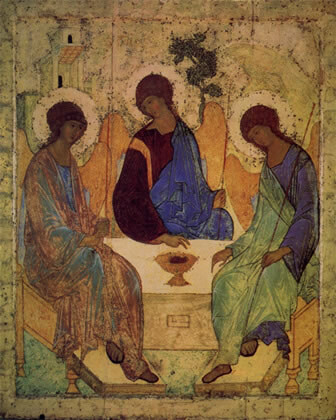 Dr. Kruger charts a course from the Trinity to the incarnation to the union of humanity with God in Jesus Christ. In that light he offers a breathtaking interpretation of our human existence as participation in the life of the Father, Son and Spirit. He uncovers the untold dignity of our ordinary humanity–from motherhood to baseball, from relationships and music to golf, gardening and designing lakes. This is a book about who we are and why we are here and what is really happening in our lives. Step by step, Dr. Kruger walks us through the stratagems of evil and the messes we make of our lives. More important, he explains why we hurt, what we are really after and how to get there, and why faith in Jesus Christ is so critical for abundant life. The Great Dance is theology at its very best–steeped in tradition, yet unfamiliar and exciting, even revolutionary; deeply personal and honest, yet universally relevant. Written with pace and poetry and winsome grace, The Great Dance is the voice of the ancient church speaking to us across the ages through the pen of a Southerner who loves life. Baxter Kruger (PhD, Kings College, University of Aberdeen) is a theologian, writer, and fishing lure designer. A native of Prentiss, Mississippi, he has worked as a minister to college students, as a lecturer in theology, and as an associate pastor. He is an avid fisherman and golfer, loves coaching little league baseball and has designed a range of fishing lures called “Dr. K’s Klones”. He and his wife Beth have three children — Baxter, Laura and Kathryn.